The other day I was channel surfing and Sesame Street happened to be on. 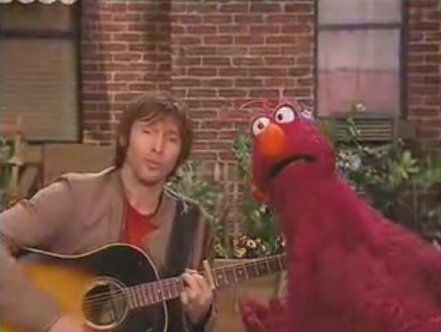 James Blunt was the guest star for that segment. I don’t know if everyone has heard of James Blunt, but since most of my readers are in California, and radio stations here play his hit song “You’re Beautiful” five million times a day, I assume that most of you know who he is. Anyway, in this segment, James was singing to Telly about how he’s looking hard for a triangle. It’s one of the most amusing stuff I’ve seen lately. I think it’s really cool when a singer does a parody of his own song. By the way, Episode 6 will be released on Wednesday (finally!!). Hopefully Episode 7 can be released the Wednesday after. I’m still looking for the tape and script that’s packed away somewhere. I have recently moved and I’ve taken some pictures of the old place and it’s time to reminisce about it now that I’ve unpacked my camera. These pictures shows you where Episodes 1 to 7 are filmed. (I’m currently editing Episode 6, and Episode 7 is on a tape that’s in a box somewhere.) I used to film the episodes in front of a sink. That’s right. Why? Because it was well-lit and had (barely) enough depth. 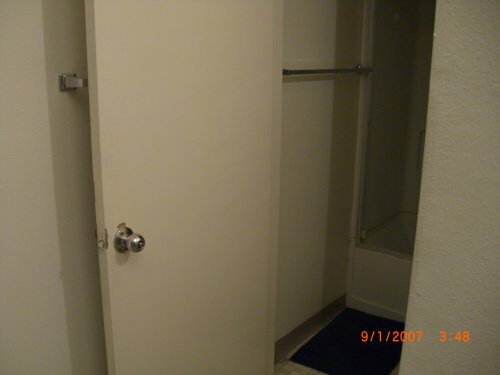 This is the door that I used to tape the backdrops on. The backdrops are just solid color papers that I taped on the door. In some shots where I wasn’t that careful, and in the bloopers episode you should be able to see the tapes or marks left on the paper by the tape. They sure weren’t anything fancy. In this picture you see the light bulb that provided lighting for our videos. I knew that I’d be moving in the near future so I didn’t want to purchase extra lamps or what-not. I just look for a spot that’s bright enough for filming. In some episodes I actually watched out for the white balance and in some episodes (especially early ones) I didn’t take into account that the light is yellow. But anyway, here’s what our lighting looked like. Simple. Putting the tripod in the sink had an interesting effect, though. 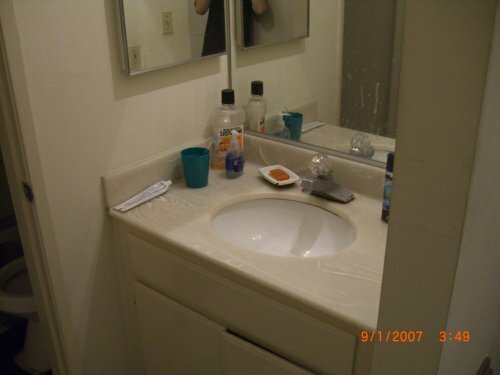 Since the sink was a curvature, rather than a flat surface, all you need to do to tilt the camera to different angles is to move it slightly within the sink. Because the three legs of the tripod would be standing on different parts of the sink with different slopes, it would give you all these different angles without having to adjust the length of the legs themselves. It was also very stable. Quite an interesting effect. I wouldn’t do this intentionally but it just happened to have worked that way. I don’t know what the new set-up would look like yet, but yeah, I’m sure I’d miss this old set-up. It was not the most professional, but man, it worked darn well. PS. Oh yeah, and this place was right next to bus stops so I had to film in the middle of the night, otherwise there’s too much noise outside. Also I had a roommate so I tend to film when he’s not there, due to noise issues as well. The lease for our apartment ended at the end of August and these three days I’ve been busy looking for a place, packing things and moving. And now finally I’m done with the moving (well, except I have a few random items that’s still in the car). 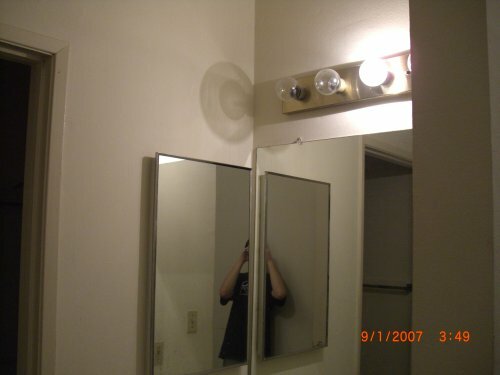 Ah, I’m going to miss the old apartment and making podcasts in it. I took some pictures that I am going to share… unfortunately my camera is packed away so I’ll need to dig it out before I can post them. Also, my puppets are in bags and still not organized. Strangely, when I packed the puppets, I forgot to put Mac and Cheese in along with the other ones so he came to the new place without being bagged. I’ll unpack them later. Also, the video camera is packed away. I also need to find my firewire cable from one of the boxes. And then I tossed away some props too. And also tapes is packed away… and my hard drive. Wow, the list goes on and on. Oh yeah, and my needles and thread. Hm… wow, I just realized how much random crap goes into making a puppet podcast. Haha. I won’t be releasing a new video until I dig these things out. I just finished moving and I haven’t really unpacked yet. But the good thing is the freeze problem mentioned in the previous post was not actually a problem. Although it didn’t show any process, it was still doing its job in the background, so no problem there. Now I just need to unpack things and set up stuff for video production again.